Or more precisely, three Catholic cathedrals, and three former cathedrals. And it would have taken me a much shorter time than six hours to visit all of them if I were in a hurry. The photos are listed in order of my visit; click on them for a larger version. Here is Saint Francis de Sales Oratory, "The Cathedral of the Southside", home of the Institute of Christ the King, Sovereign Priest, one of the Latin Mass communities of Saint Louis. This was once the home of one of the auxiliary Bishops of the Archdiocese of Saint Louis, and had cathedral status. Mass schedule: Sundays 8:00 am (Low Mass), 10:00 am (High Mass); Daily 8:00 am (Low Mass); First Fridays and Holy Days of Obligation 7:00 p.m.
Saint Raymond's Maronite Cathedral, of the Eparchy of of Our Lady of Lebanon of Los Angeles, is the Cathedral church of Maronite Catholics of 34 midwestern, southern, and western states. The cathedral complex includes The Cedars, a banquet center that has a Lebanese buffet on Wednesday, and a gift shop that sells, among other things, fascinating and beautiful books on Maronite saints. The Cathedral is located on the southern edge of downtown Saint Louis. Saint John Apostle and Evangelist Church, built in 1860. 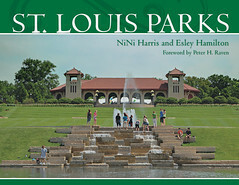 The parish was established in 1847 on what was then the outskirts of the city. 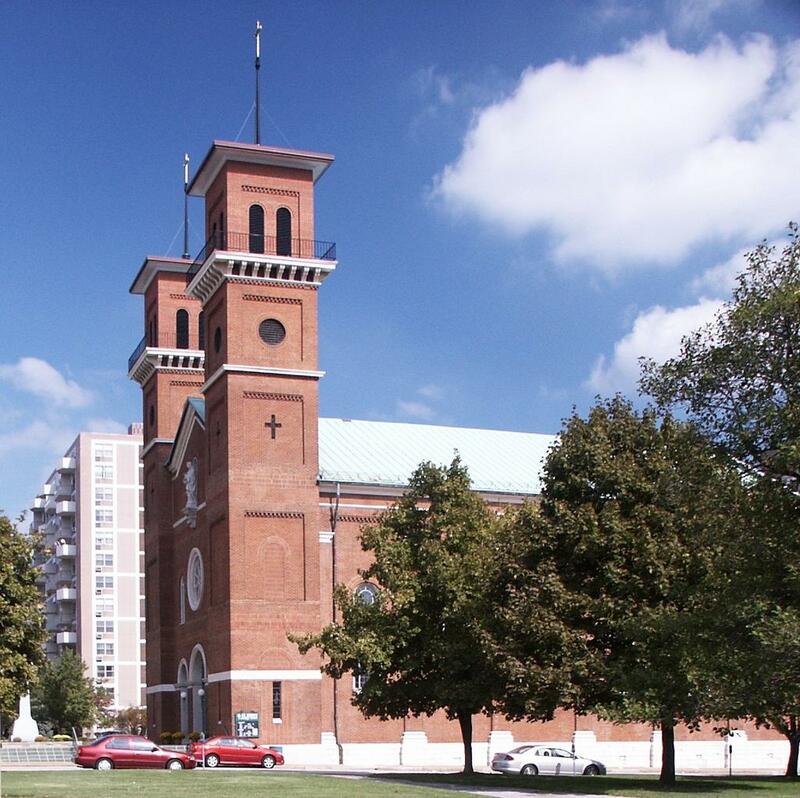 During the late 19th century, the St. Louis waterfront was a dangerous district, and the population was moving westward, so Archbishop Peter Kenrick resided in this pro-cathedral, nearer his flock. It is twelve blocks west of the Old Cathedral. Mass schedule: Saturday (vigil) 5:00 pm; Sunday 7:30 am, 9:00 am, 10:30 am; Weekday 7:10 am, 12:10 am; Saturday 12:10 pm. 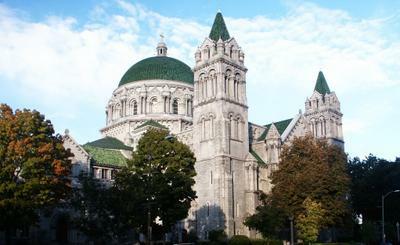 The Basilica of Saint Louis, King of France, or the "Old Cathedral". This is the oldest operating Catholic church in St. Louis, and once served as the Cathedral for half of the United States. The church was consecrated in 1834. 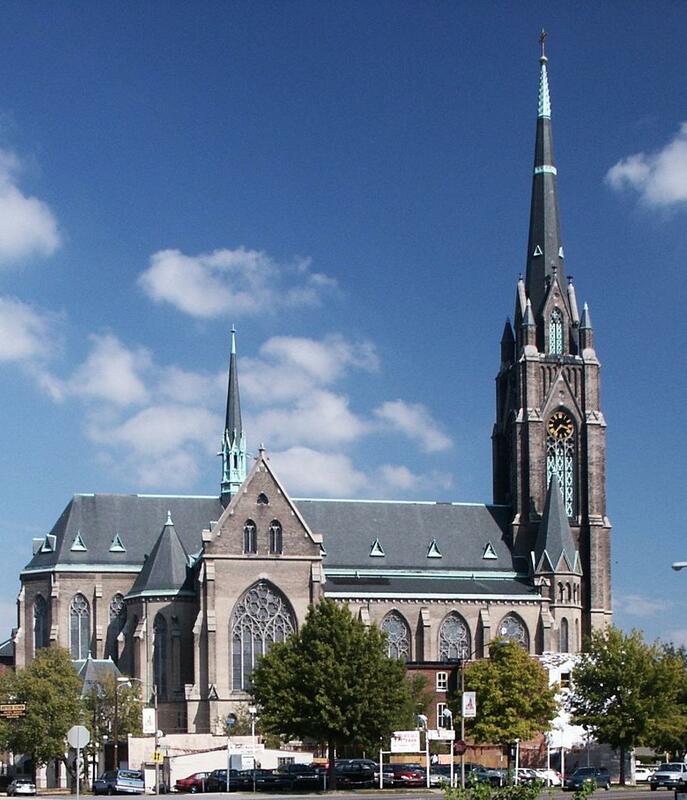 Saint Peter's Cathedral, built in 1842 and later expanded, of the Diocese of Belleville, Illinois, located 16 highway miles southeast of downtown Saint Louis. Some criticize Catholics for building large churches like this, saying that they should instead give their money to charity. 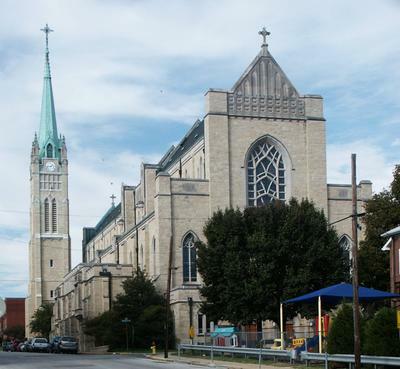 This Cathedral is across the street from Saint Elizabeth's Hospital, operated by the religious community of the Hospital Sisters of the Third Order of Saint Francis. That hospital costs real money, and wouldn't exist without the cathedral. 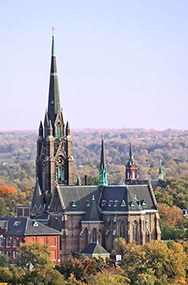 The Cathedral Basilica of Saint Louis, of the Archdiocese of Saint Louis, consecrated in 1917. It has a Byzantine interior with the largest collection of mosaics in the world. A museum, crypt, and gift shop are in the cathedral. Monday - Friday: 7:00 a.m., 8:00 a.m. & 12:05 p.m.
Sunday: 8:00 a.m., 10:00 a.m., 12:00 noon & 5:00 p.m. 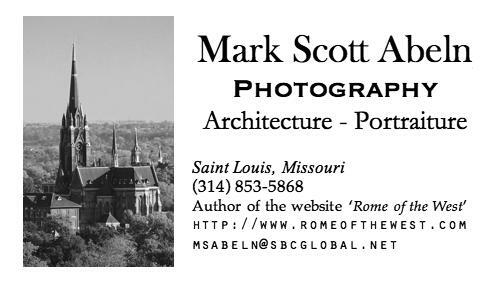 NOTE: Had I known it at the time, I would have photographed Saints Peter and Paul, in nearby Alton, Illinois, which was once the cathedral for the Diocese of Alton, now called the Diocese of Springfield in Illinois. 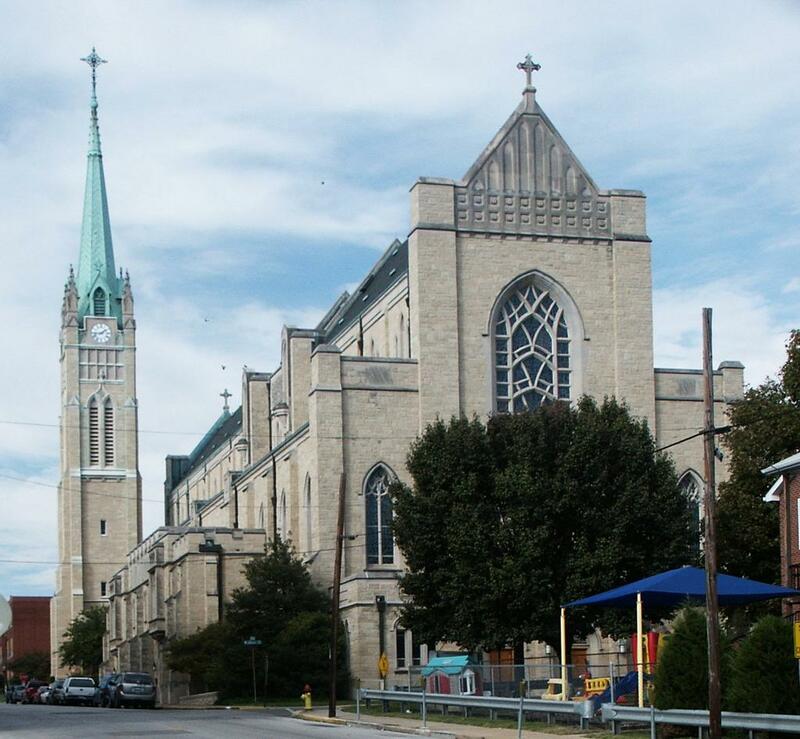 You could also visit the Old Cathedral in Alton, IL. Thanks for your beautiful site.